Commissioned sculpture for a private collector in Cologne (one of four images). 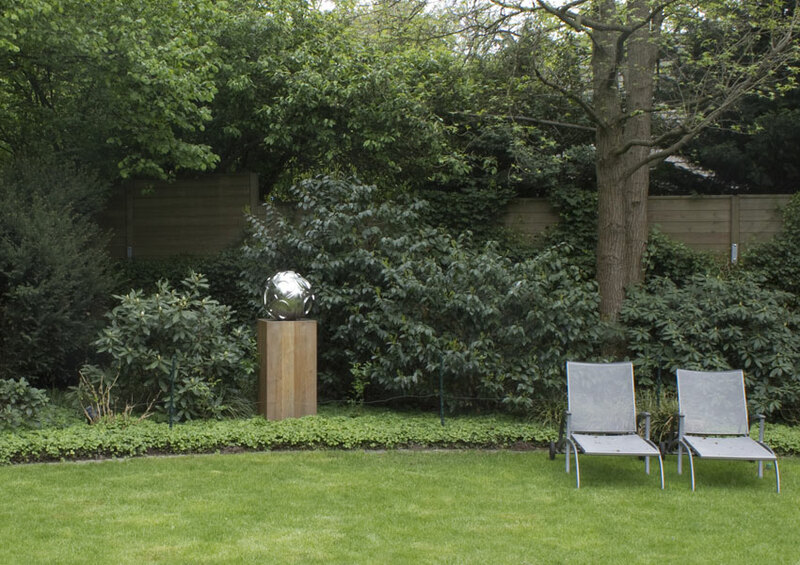 The sphere is made of cast stainless steel, diameter ca 55 cm. The plinth is made of solid acacia wood, dimensions 50x50x110 cm. The relief on the sphere depicts the exact longitude and latitude of the sculpture's location, with a margin of error of +/- 10 meters. The actual title of the work is "Zentrum der Welt" (Centre of the Earth) followed by the street address of the location. Due to privacy concerns, the second part of the title has been left out here.